In the spirit (pun intended... sorry not sorry) we've had a look back through the deep, dark crypt that is the internet's archive and dug out a few of our favourite marketing spooks. Ten years ago, M&M's hit us with a little gamification centred around an illustration where viewers had to identify visual riddles and references to iconic horror films. M&M's tied in their branding with the use of its characters within the imagery, as well as using the content as a teaser for the lead up to M&M's launch of their dark chocolate product line. If you never saw it, you missed out. The hours I spent sweating against the clock battling my friends, were endless. 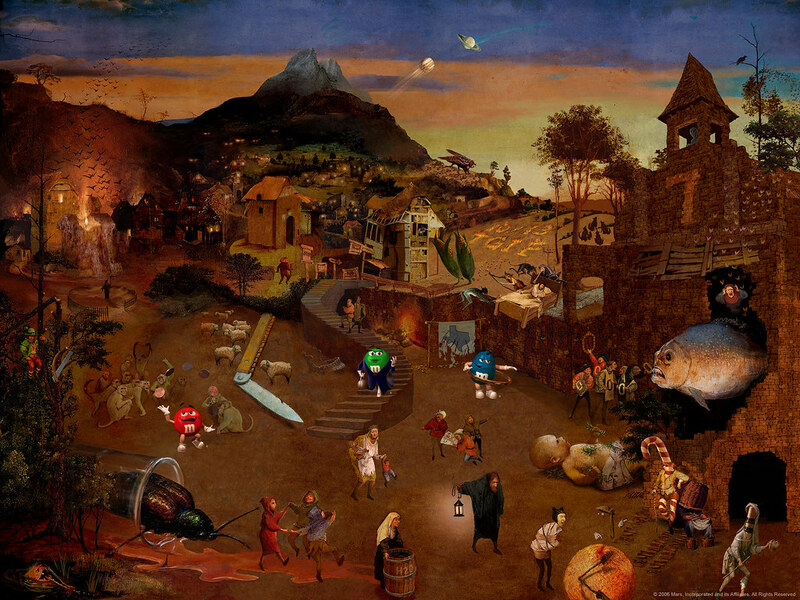 But don’t worry, you can still play the game '50 Dark Movies Hidden in a Painting' here. Why don't you challenge a colleague right now? The anticipation for the release of Jurassic World was nail biting. Were they going to ruin our childhood terrors? Would too much revolutionary CGI take away from the original Goliaths that had us weary of public toilets for years? It didn’t, of course (thank God) but their PR efforts didn’t disappoint either with the release of their 'Jurassic World' DVD. 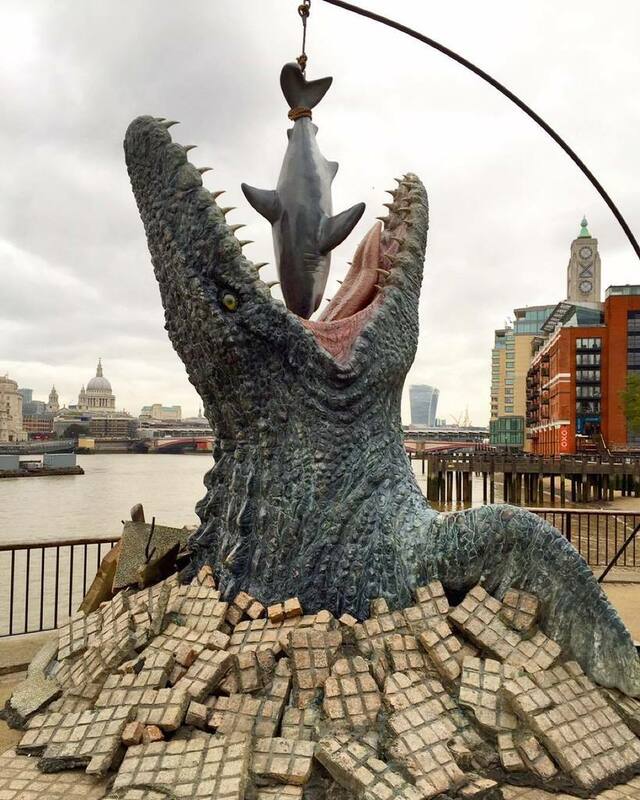 A life-sized Mosasaurus was unveiled on London’s South Bank as a stunt to mark the release of the DVD in homage to the epic scene in the film. An effective reminder for all who’d seen the film to go out and purchase the DVD. Not to mention the questioning general public that hadn't! Launching a new product can sometimes be dry and a little too corporate especially when it comes to trying to hook consumers. However, LG took it to a completely new level with a demo video of their monitors to show exactly how good the quality of their displays were. A grid of screens were used in the floor of a public lift and the riders' responses were filmed as the ground disappeared below their feet. The video has so far received over 26 million views since it was uploaded on YouTube. Now this wasn’t a stunt – this was a genuine contest to stay at Dracula’s Castle with the host, Dacre Stoker, the great grandnephew of Bram Stoker, author of the legendary Dracula novel. The stay will include a horse-drawn carriage to the Castle, a tour of 57 rooms, a meal for two topped off by a chilling night's sleep in two luxurious velvet-trimmed coffins in the seclusion of the Count’s crypt. But the question is, will the (un)lucky couple be faced with the blood-sucking Count himself?